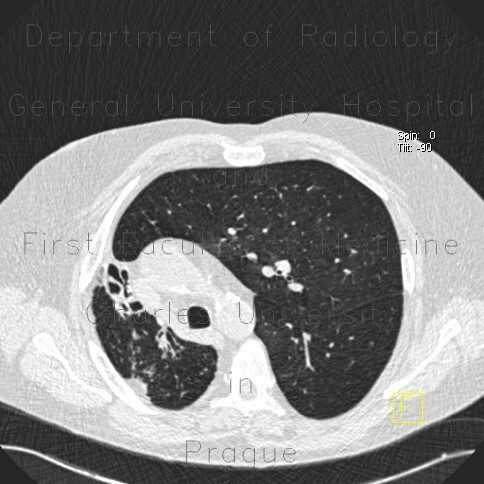 CT shows decreased volume of the right hemithorax with shift of mediastinum towards the right side and elevation of the hemidiphragm. Lower and middle lobes are replaced by dilated bronchi, which are seen also in the right upper lunge lobe. These changes are attributed do tuberculosis in the past.